Check out our Motorcycle Theft infographic to see the most stolen bikes by manufacturer and more! 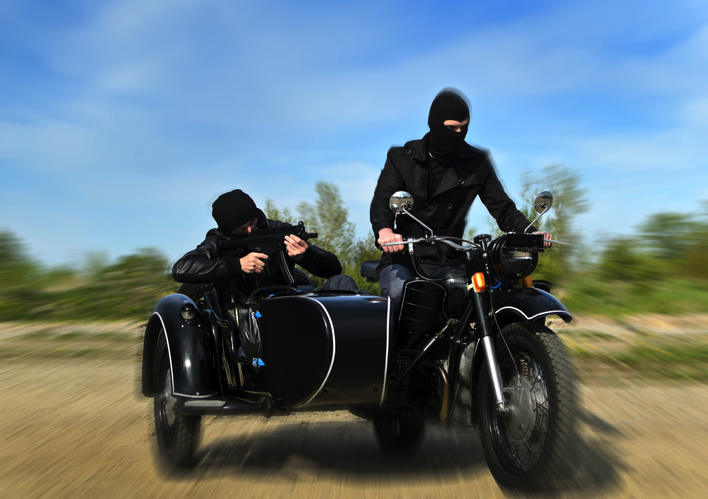 In their 2015 Forecast Report “2015 Motorcycle Theft & Recovery,” the National Insurance Crime Bureau painted a picture of motorcycle theft that, while increasing only 6% nationally, is on the rise in many American cities. New York City experienced a 30% increase in crime over 2014. Los Angeles County led California, a state that led the nation in thefts, with over 7,000. Most thefts occur in the summer months. 25 counties accounted for 32% of motorcycle thefts, showing this crime moving to more urban, densely populated areas. The report went on to detail 3 distinct types of motorcycle theft, leaving riders scrambling for ways to protect their bikes. KeyMe‘s vehicle experts have a few tips for riders to protect their bikes against everything from a garage break-in to lost motorcycle keys. Utilize your motorcycle’s (hidden) kill switch to render the engine inoperable. Most bikes include one, and nowadays many are hidden due to thieves learning how to deactivate them. Of course, these same thieves can simply look up your bike’s hidden kill switch location so that only offers so much protection. If you’re handy, however, you can install one of your own and make it very unlikely that anyone but you can find it. Grab ‘n’ go theft takes more than just one criminal to get the job done, and it expedites the process greatly making it one of the more dangerous methods to watch out for. As a group effort, one person drives a van and at least one other loads the motorcycle in for a quick drive-off. Certain locks will slow this process down, but very little has to be disabled in the moment in order to move your motorcycle from its parked location into the van. As a result, you can only do so much to avoid this. Heavy-duty cable lock. Much like with bicycles, you can use cable locks to attach your motorcycle to a post (or other accommodating stationary object). Popular options, like the Trimax TDL815, won’t break the bank but can only provide so much protection. Motivated thieves will have tools to cut through cable locks, so you should additional security measures as well. Bike cover. While a bike cover might not seem like a theft prevention device, it manages to succeed as one because it works as a deterrent. 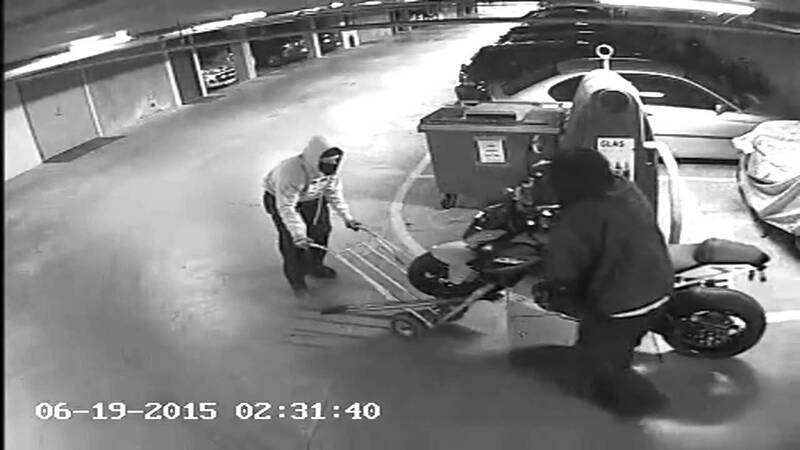 Thieves will look for a motorcycle in plain view with locks they can disable. A covered bike not only won’t register visually as fast as an uncovered bike will, but thieves won’t be able to see what other security measures you have in place. When looking for a good target, a covered bike will rarely be the first choice. If you grab a heavy duty disc lock with alarm, too, you can double up on the surprises to make stealing your bike an even riskier proposition. Locking up all your belongings has a danger all its own: lost motorcycle keys. Between the disk lock key, the ignition key, the bike cover key and the garage key, your chances of losing access to your own bike improve exponentially. KeyMe customers have reported time and again that they have lost motorcycle keys or lock keys, especially if it’s been a while since they last took a ride. Alleviate this by saving your keys to the cloud with the KeyMe key duplication kiosk. You will always know you have a backup that can be delivered to your door in 2-3 business days should your motorcycle key go missing. Keep your motorcycle safe and your keys organized and protected with KeyMe! Want to know if your bike is supported? Our customer service team can help.